Having been a Donut Man loyalist since I first sampled their now-legendary Fresh Strawberry Filled Donuts a few years back, I was really looking forward to trying their Pumpkin Cream Donuts last weekend. 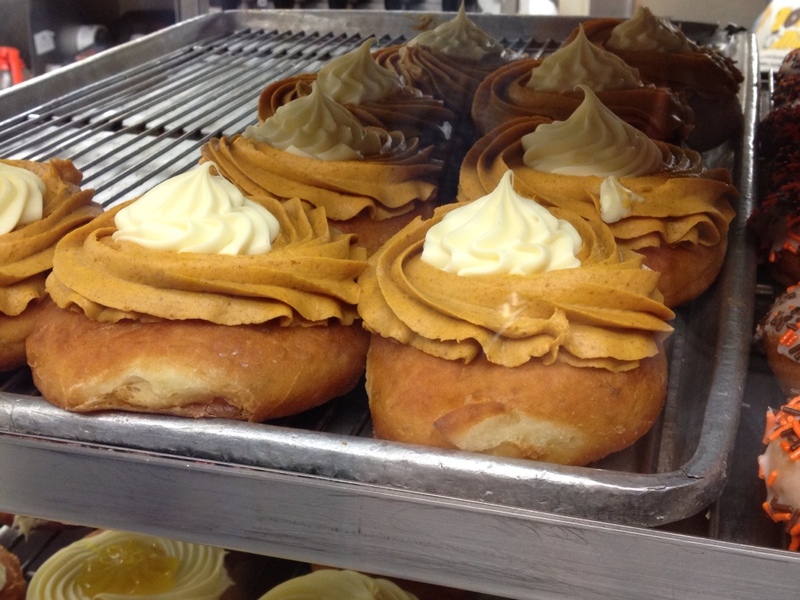 I mean, hello, pumpkin filling and fresh, creamy goodness piled high on a big, fluffy donut, what's not to love? The answer, it turns out, is plenty. I'm not saying it's the worst pumpkin-flavored concoction I've ever tried, but, sadly, this seasonal favorite doesn't hold a candle to The Donut Man's rocking Strawberry and Peach bretheren. It's not terrible, but, it's just weird tasting. And though a warm donut underlayer always sounds appealing, in theory, in actual practice, it left me seriously jonesing for some proper pie crust instead. 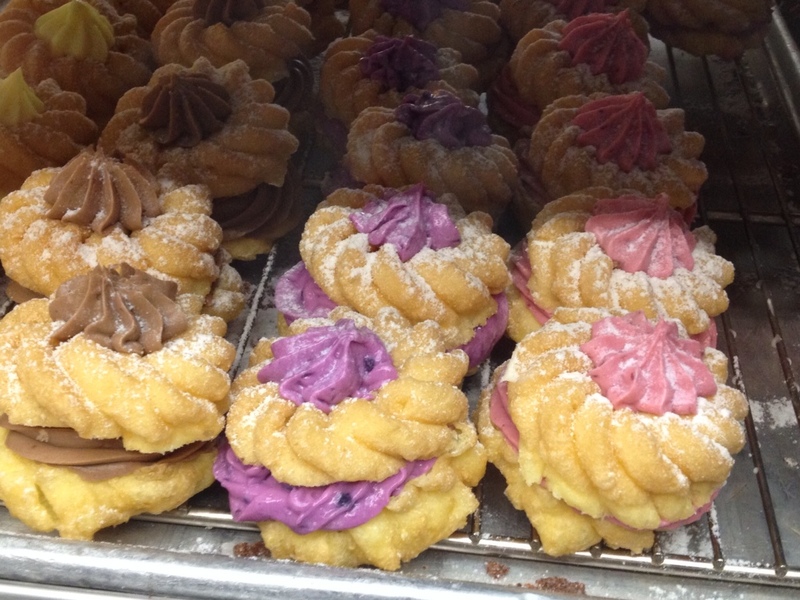 That said, the Tiger Tails were incredible (as always), the colorful Cream Puffs pictured below were amazing (even two days later!) 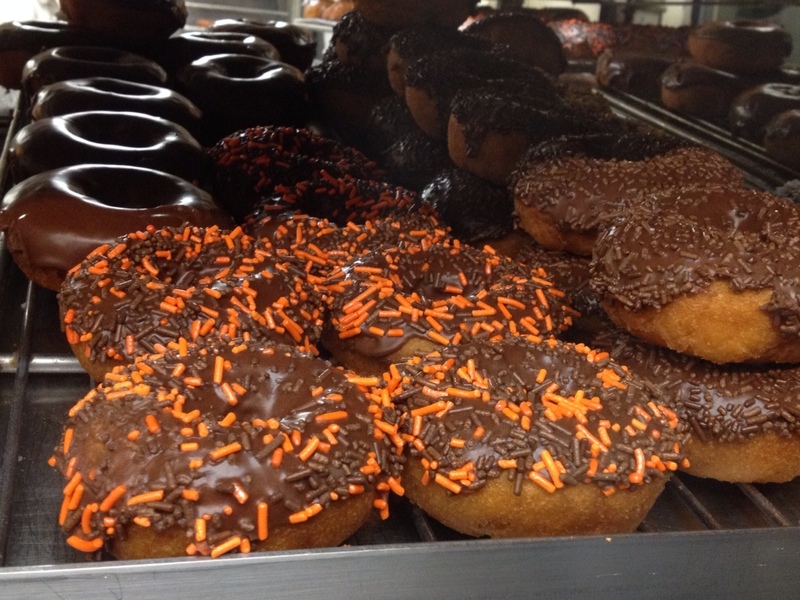 and Greta loved the Halloweenish sprinkles on her chocolate donut, so, any way you look at it, we came out ahead. Thanks, Donut Man! I’m a firm believer in not everything having to be pumpkin just because it’s fall… Glad there were some other yummies! Yeah…the pumpkin ones were a bit disappointing, for sure. Loved those Tiger Tails – can’t go wrong with those delish ones!